him cursing out loud after losing a tight match to McEnroe at the U.S. Open. I remember when I played in juniors, if I started double-faulting, I’d scream out that I’d come down with a serious case of Gerulaitis. Maybe I’m not ready for that joke to go away afterall. It has lasted 35 years. 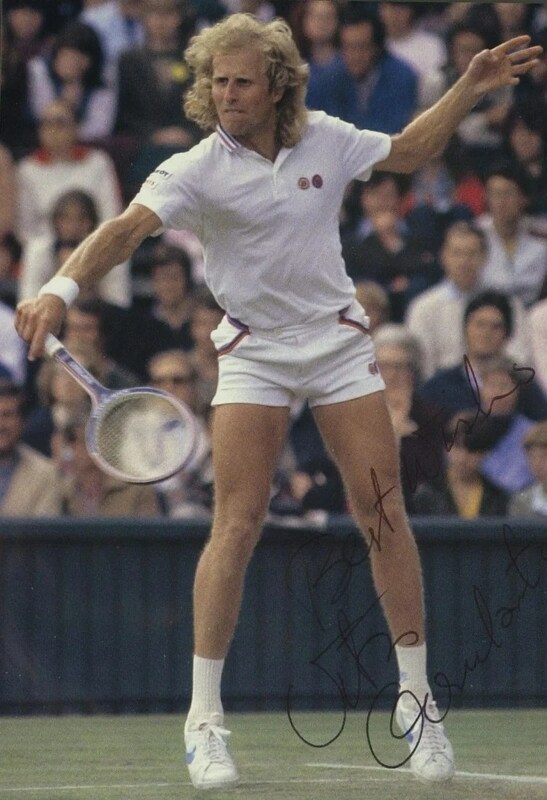 And somehow, it keeps Gerulaitis fresh on our minds 20 years after he died. It keeps Gerulaitis in tennis. New Yorker. Party guy. Studio 54. Hair. Tennis clinics for inner city New York kids. Flair and style. And being truthful, drugs, too. You take it all together. And he kept the game fun for the most part, which had a hand in the sport’s incredible popularity in the U.S. at the time. Back then, the game’s image was transitioning from a snooty country club game to one for the everyman. He became great friends with Borg after their classic match in the 1977 Wimbledon semifinal, which Borg won 8-6 in the fifth set. Borg has told the story that the next day, Gerulaitis came out and practiced with him. It was the start of their friendship. Gerulaitis reached No. 3 in the rankings and won the Australian Open in December of 1977. But he never beat Borg. In his book “High Strung” also about the Borg-McEnroe rivalry, Stephen Tignor, details the Gerulaitis-Borg relationship and talks about how seriously it did frustrate and hurt Vitas that he couldn’t get that one win. Tignor also says that at one point, Borg’s official record over Gerulaitis was listed as 20-0. Who knows how that changed? Well, whatver it was — and whether someone really did beat Vitas Gerulaitis 17 times in a row — here’s a fun story: In May of 1978, Gerulaitis was set to try to break Borg’s streak against him. At the time, it was just eight wins for Borg. Someone asked Gerulaitis if he’d ever finally beat Borg. Like I said: a tennis classic. 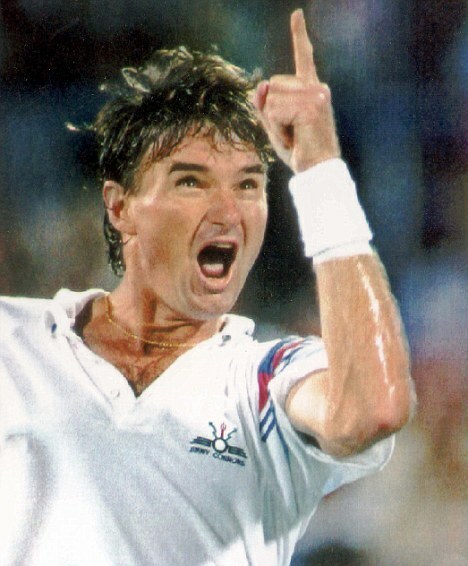 This entry was posted on Sunday, February 1st, 2015 at 7:35 am	and tagged with Australian Open, Bjorn Borg, Jimmy Connors, Maria Sharapova, Serena Williams, Vitas Gerulaitis and posted in Australian Open, Bjorn Borg, Jimmy Connors, Maria Sharapova, Serena Williams, Vitas Gerulaitas. You can follow any responses to this entry through the RSS 2.0 feed. Your facts are wrong. The Gerulaitis comment was about Connors, not about any other 16-match losing streak. He had been beaten by Jimmy 13 times in a row, and I am guessing he included 3 more matches from either exhibitions or Riordan’s circuit. He never had a 16-match losing streak to anyone (or in general) at the time he said it, save to Connors (if my thesis about the missing 3 matches is true).